Dallas Personal Trainer - Another favorite for any Dallas Personal Trainer who is certified by the National Academy of Sports Medicine as it is often used in their literature and certification courses. 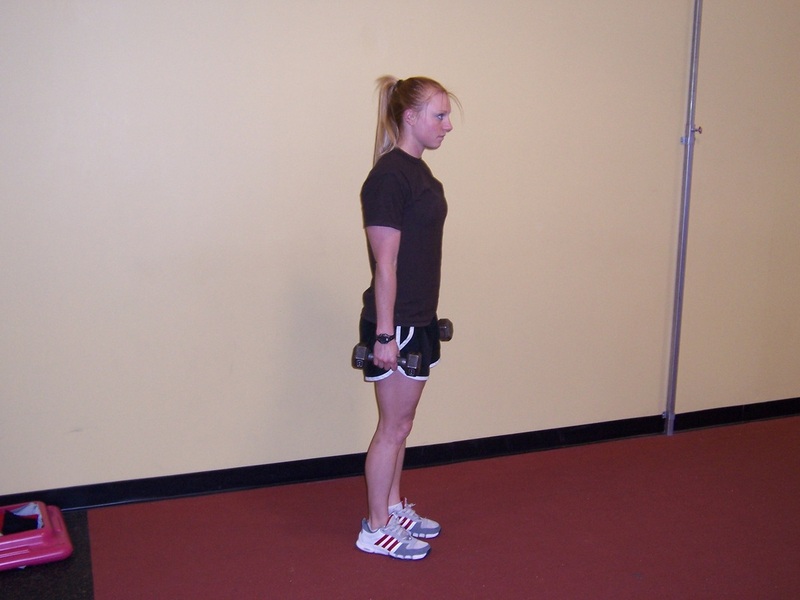 To perform this exercise, simply follow the instructions for Stepping Lunges, and while you are in the lunged (down) position, curl the dumbbells up with your biceps, rotate them, press them overhead with your shoulders, lower them back to the shoulders, curl them back down to your side, and then push the heel of your front foot firmly into the floor to push yourself back up to the starting position. Repeat the same process with the other leg. When performing these, 1 repetition equals 1 lunge on each leg. So you will count 1-1, 2-2, etc.